At Commercial Laundries in Orlando, a large portion of our business resides in our customizable laundry equipment lease programs. Each customer has unique needs, goals, space restrictions, etc. 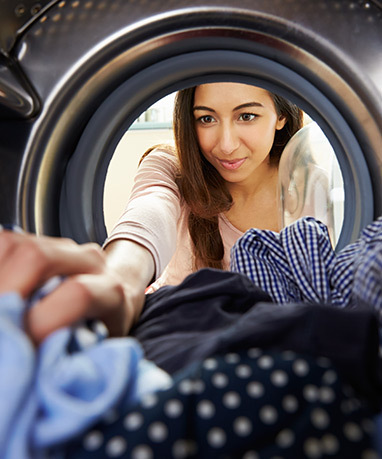 Having the ability to personalize each lease program, our customers receive a unique laundry solution created for their specific concerns. In addition, each lease program is created to help you save money on water, gas, sewer and electric while also increasing your revenue generation. Commercial Laundries Orlando is an authorized dealer and leading vendor of commercial laundry equipment. Therefore, our company and its team members understand how important it is to offer clients top tier customer service and quality when leasing laundry equipment. We do this through a variety of ways. First, we believe in building long-term relationships with our clients, and have formed partnerships with countless clients since 1972. In addition, we only offer our clients commercial laundry equipment manufactured from the top brands in the industry such as Maytag, Whirlpool and Speed Queen. Orlando leasing laundry equipment is available in a wide variety of coin and card operated options that are Energy Star-rated and top of their class in terms of efficiency. Plus, our commercial washers and dryers have earned reputations for being reliable, durable, well-crafted and long lasting. Because we are meticulous in determining which brands we partner with, our customers can expect to receive machinery that works at optimal levels for many years to come. When our Commercial Laundries Orlando customers determine a leasing program is the best option, we will help with the entire process. Our sales team will work alongside our customers, ensuring the correct machinery is selected for their needs, budget and property type. In addition, there is no need for customers to ever worry about service and maintenance as this is performed free of charge on a continual basis for all of our Orlando leasing laundry equipment clients. Consequently, this maintenance ensures each piece of equipment is performing at optimal levels and lengthens the lifespan of the machinery. And, Commercial Laundries often awards customers with money or signing bonuses for even more laundry room upgrades. You can receive these at the initial signing of or renewal of a leasing contract. Who leases from Commercial Laundries Orlando? Property owners and managers who wish to offer their residents a superior laundry experience typically inquire about our leasing programs. Our make and model options can provide your onsite laundry area with dependable, affordable and efficient machinery. Hence, we aim to satisfy current residents and enticing potential tenants. Whether you are designing your first laundromat or you have established your career in the coin laundry industry, let us partner with you. Commercial Laundries wants to help you achieve optimal performance of your company & increase profitability with Orlando leasing laundry equipment. As a result, your laundromat can see dramatic savings and exceptional service. Commercial Laundries Orlando specializes in on-premise laundry solutions for businesses such as nursing homes, hotels, schools and restaurants. By outfitting these types of businesses with commercial laundry leasing equipment onsite, you may see a large cost savings. To be more specific, an approximate savings of 50% or more on linen costs can be achieved. Structures such as college dormitories are often in need of an onsite laundry facility. Although, it is well known the machines in these environments need to be rugged and solid to keep up with demands. Our Orlando-based Commercial Laundries team enjoys working with our university and college partners. College dorms seek to create a campus laundry area that delivers optimal results with each load. And Commercial Laundries Orlando works to make this possible.